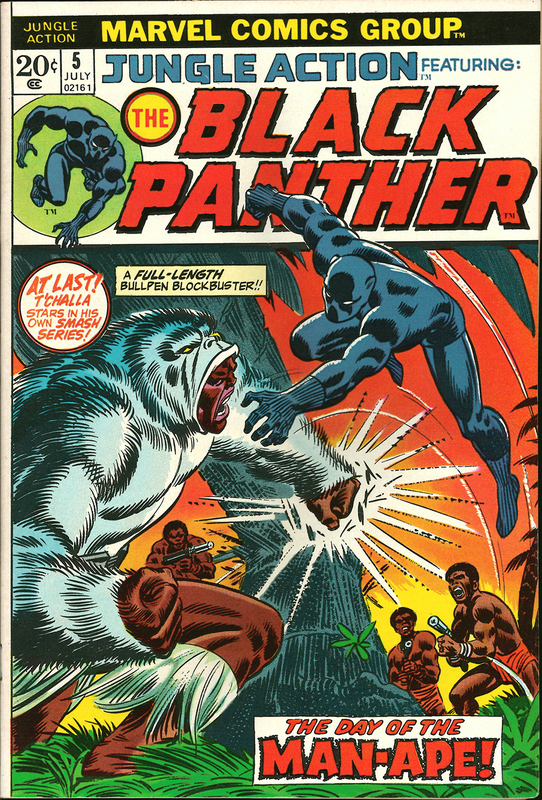 (July, 1973) The Black Panther in his first solo outing (reprinted from Avengers #62, which we also have!) Photo included is an actual scan of the book being offered. It is in (ungraded) high-grade condition, approximately VF/NM by our standards. It will be packed double-boarded in a high-quality mylar, and placed in a plastic top loader for safe shipping..